Bonds to last a lifetime were forged at Lower Hutt’s Waiwhetu Marae in August (2018) when 55 college students from Japan, Hawaii, Indonesia, China and New York joined 35 young Kiwis for the third East-West Partnership for Youth (P4Y) 2030 Forum. The youth leadership forum is a Māori-led initiative for all New Zealand college students regardless of their cultural background. It’s a collaboration between Hawaii’s East-West Centre, Te Ati Awa Tribal Council and Te Ara Whānui Kura Kaupapa Māori o Ngā Kōhanga Reo o Te Awakairangi. The diverse range of participating students included indigenous Hawaiian youth from disadvantaged communities, inner city kids from New York, New Zealand youth from a range of ethnic communities, as well as young Chinese, Japanese and Indonesians from urban and rural backgrounds. 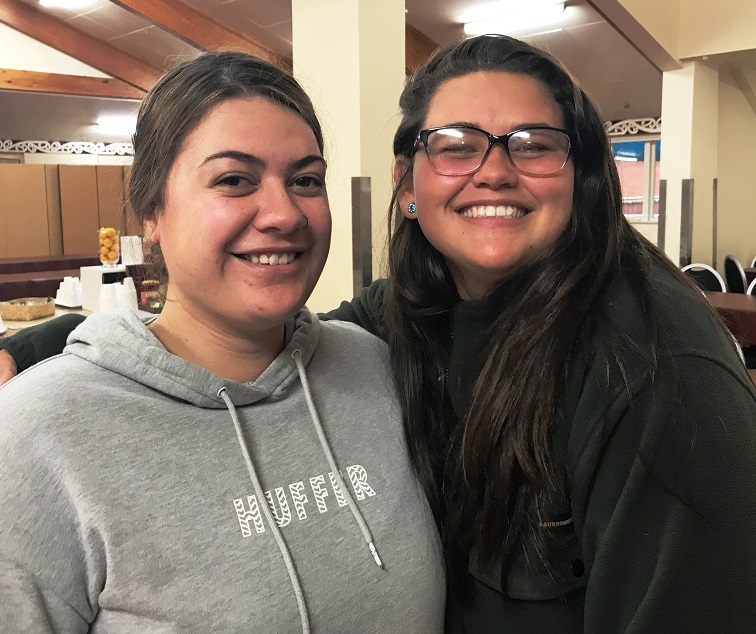 “These are our future leaders, young people with passion and vision who will share their own ideas and take what they’ve learnt from each other back home to share with their own people,” says Peggy Luke, manager of Waiwhetu Marae. Whānau from Waiwhetu travelled to Auckland to awhi their international visitors and accompany them to the Waikato where they were welcomed on Turangawaewae Marae before travelling down the North Island to Waiwhetu Marae, their home away from home for their week-long visit. This was the place where they came together to share ideas for a co-operative global future and for the revitalisation of their respective indigenous languages, cultures and values. 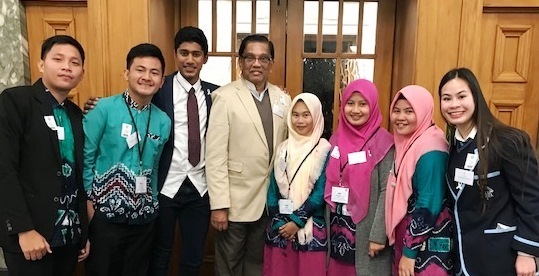 Their full programme of visits to local kura, community organisations and environmental projects, and a farewell dinner in their honour at Parliament hosted by the MP for Te Tai Tonga, Rino Tirikatene, gave the students an in-depth experience of life in Aotearoa that they’ll never forget. One of the hosts of the Forum, Kaanihi Butler-Hare, said the purpose of the forum is to create a vision for 2030 and how today’s youth see their future. Hesays the focus now is on the revitalisation of the Māori culture and sustainability. Kaanihi says the relationship between Māori and Hawaiians is particularly strong because of the close connections through story-telling. As more and more cultures establish themselves here, Kaanihi believes that Māori have to hold up tikanga and manaakitanga by looking after all the cultures that are in Aotearoa. In this video, Hawaiian language teacher, Maile Kipapa talks about the amazing opportunity their visit to Waiwhetu Marae has given them to share cultures with tangata whenua.